We had a lovely time in Les Bains Douches, everything was perfect and clean. Hosts were very helpful and friendly in accomodating our needs and guiding us on the local tourist attractions. Good location with parking and easy walk to old city. Kitchen and laundry facilities very useful. The host was so helpful, he had even reserved a parking space for us right outside, by using his own vehicle. Très calme. Parking gratuit dans la rue, tout en etant dans le centre. atención muy buena en castellano, terraza muy adecuada para desayunar y cenar, se llega al centro andando en un momento. Cocina dotada con casi todo lo necesario, solo le falta lavavajillas. L'accueil très chaleureux de la maîtresse des lieux. Appartement en rez-de-chaussée avec terrasse et petit espace vert commun aux 3 logements. La literie. La proximité du centre-ville et du parc Gamenson (5 mn à pied). Le calme. 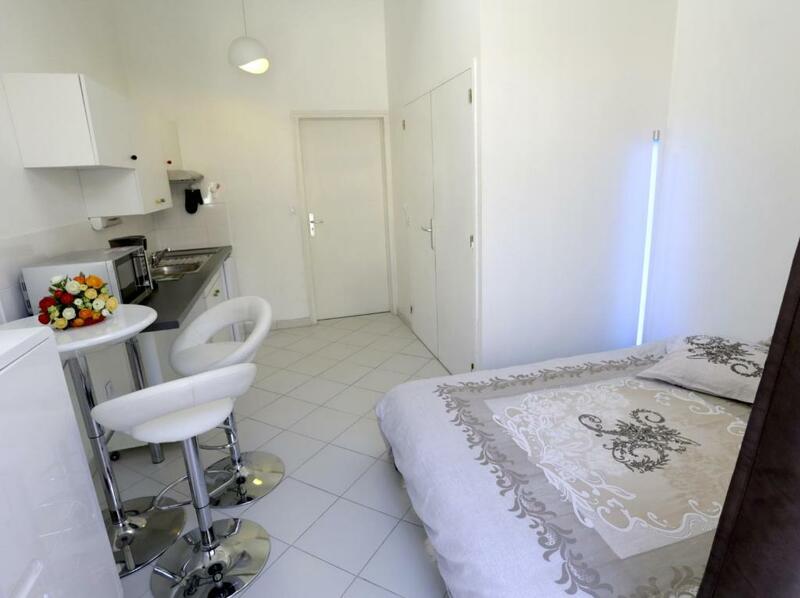 Lock in a great price for Les Bains Douches – rated 8.8 by recent guests! Located in Périgueux, Les Bains Douches has accommodations with free WiFi and a garden. 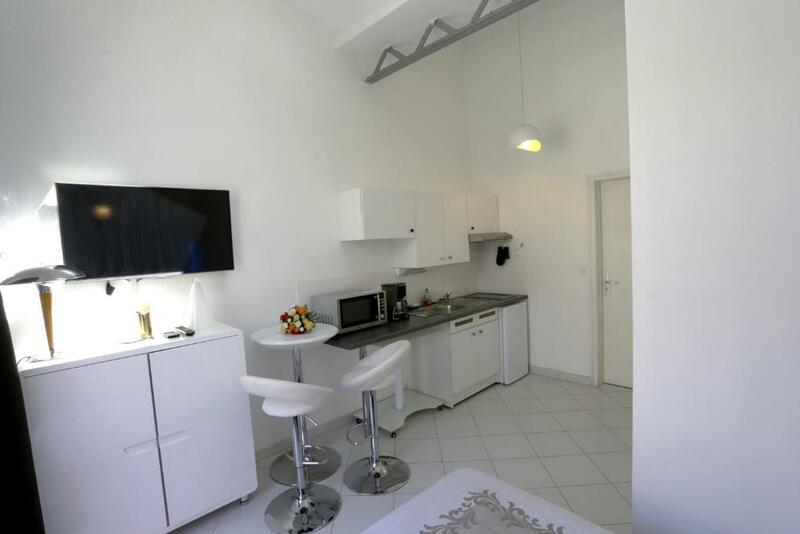 Some units also have a kitchenette equipped with a dishwasher, an oven, and a microwave. Bergerac is 30 miles from Les Bains Douches, while Brantôme is 16 miles from the property. Roumanière Airport is 32 miles away. 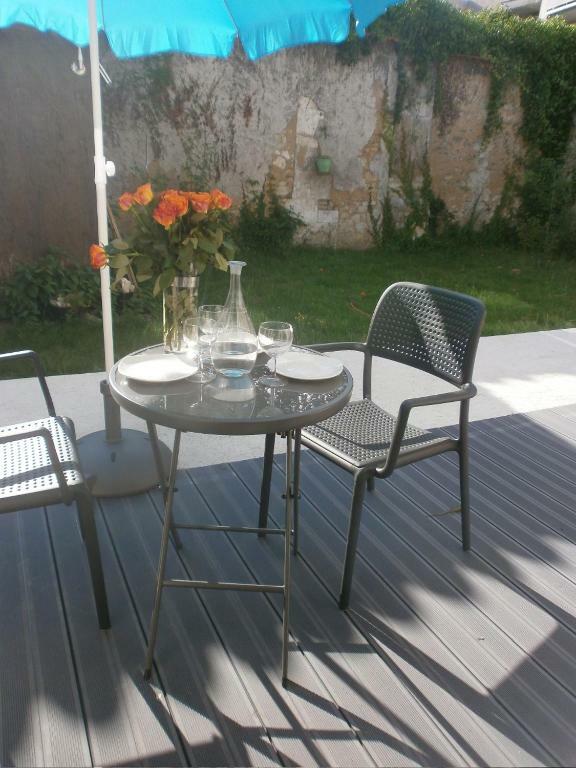 뀐 Located in the top-rated area in Périgueux, this property has an excellent location score of 9.3! When would you like to stay at Les Bains Douches? This apartment has a washing machine, kitchenette and dishwasher. 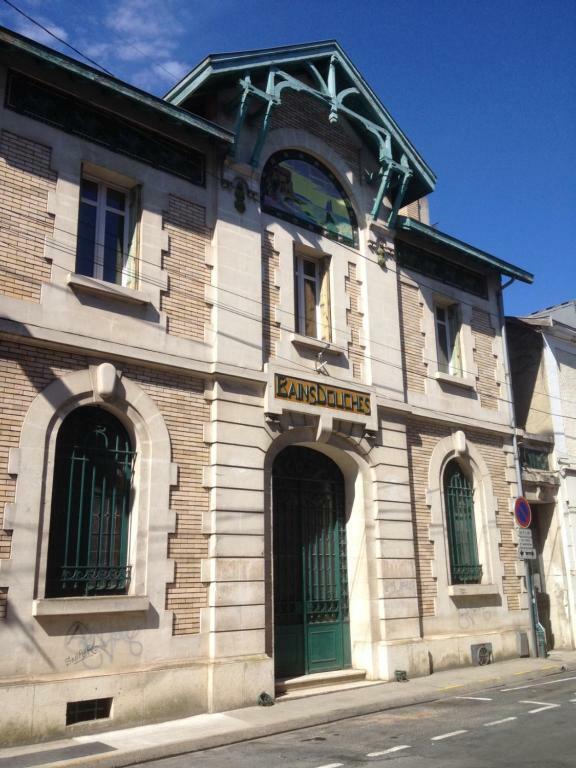 Les anciens Bains Douches de Périgueux inaugurés en 1913 ont gardé leur façade Art Nouveau et leur vitraux. Il on été rénovés par leur nouveaux propriétaires Etienne et Sophie BONDUELLE afin de vous accueillir dans un espace calme en plein Centre-Ville. Nos activités artistiques dans le spectacle vivant nous ont conduit à investir ce bâtiment unique pour partager notre gout de l'art et de la culture, nous aurons plaisir à vous y accueillir. Proche de la poste et de la nouvelle mairie, des théâtres et du centre-ville historique, vous serez proche de toutes commodités, du marché et vous pourrez découvrir Périgueux à pied. House Rules Les Bains Douches takes special requests – add in the next step! Good location for visiting the Perigeux, just minutes walk to the old town. Old building was originally a public bath house but now in need of an internal refresh but everything is there that you'd need for a night. Good (compact) shower room, seperate toilet and well equipped kitchen with adjoining lounge/diner with tv. 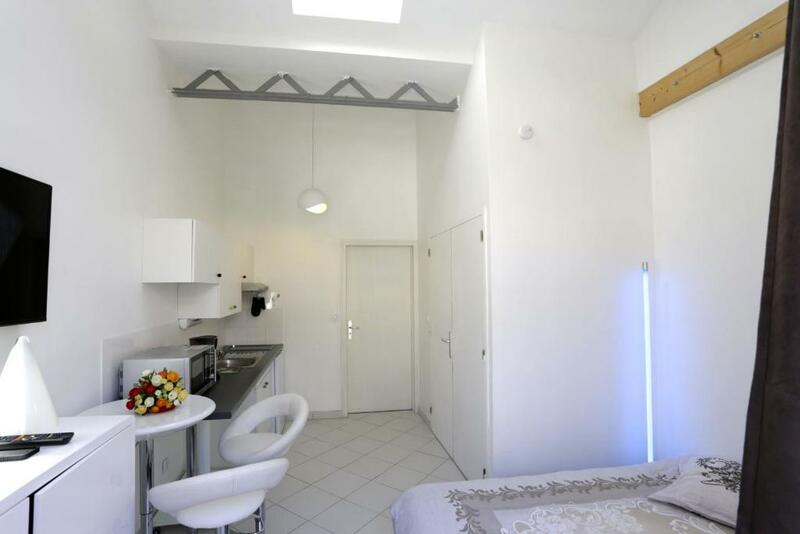 One bedroom with double bed + one with two very narrow singles that had been put together to make a small double. Odd bits of furnishing are basic and bizarre colour combinations, bedding and towels clean and fresh. The rooms have been 'repurposed' from their original use so are an odd configuration. Bare wooden floors and thin partition walls could do with some work. Though clean, the flat is shabby. Outer walls and windows are insulated and there is radiator heating so should be warm in Perigreux's cold winter nights. No a/c but not too uncomfortable when we stayed it was a 30° + day. On a quiet back street with limited unrestricted parking close, but directly outside the building is restricted. Probably priced about right for two bedroomed flat. Extremely helpful owner. Banged my head, but you get that in the period buildings with wooden beams. Character of building outweighed my vertical challenges though!